We have over 70 group exercise classes a week to choose from, ranging from fat burning to strength building and holistic to specialist classes. with this vast choice you are bound to find something to suit you! Following our refurbishment this Autumn, we now have a brand new wellbeing studio and an extended original studio and lots more exciting classes to choose from. Our Instructors are enthusiastic, motivated and highly qualified. They strive to inspire, educate and pass on their enthusiasm for healthy living in every class they teach, so please feel free to ask them questions and give them feedback. 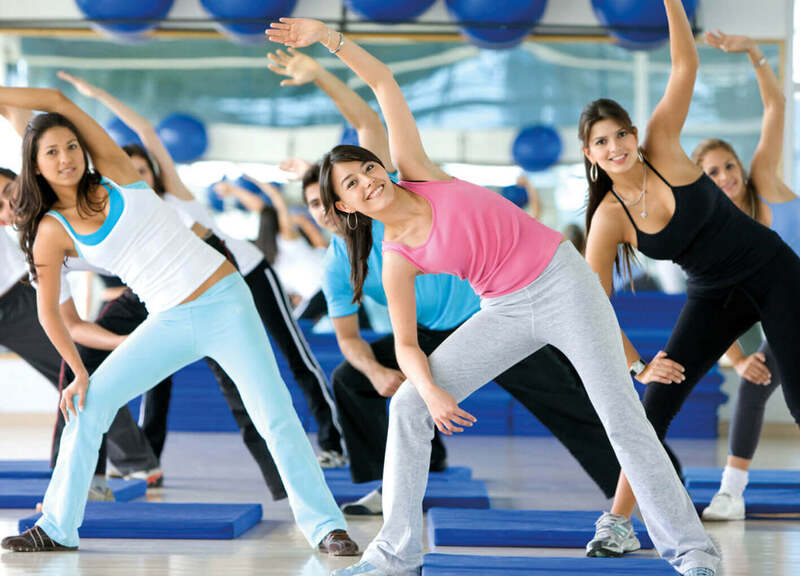 To book your class please call de Stafford Sports Centre: 01883 716 717 (option 2) or if you are a Premier or Group Exercise member, why not sign up to book your classes online. Our Premier & Group Exercise members can book 7 days in advance; Gym & Swim members can book 5 days in advance; Centre members can book and pay 5 days in advance; Non members can book and pay 3 days in advance. Please remember if you are not able to attend your Group Class to cancel your space which allows other customers to attend. We reserve the right to charge for non attendee spaces that have not been cancelled.